Guide to using the library for historical research. Libraries collect and preserve the graphic records of human experience.1 Not every experience is documented, and not every documented experience is collected and preserved. How, then, can you know what part of the historical record remains for you to study? Reference sources are your map to the graphic records of human experience. Even if every human experience hasn't been documented, and every document hasn't been preserved, there remains a plethora of sources available for the historian to study.  Here at the University of Illinois Library, you have access to over 14 million printed books, 9 million microforms, 120,000 periodicals, 148,000 sound recordings, 1 million audiovisual resources, 280,000 e-books, 29,000 cubic feet of archival records, 3 terabytes of electronic records, and 650,000 maps—that's over 24 million potential primary sources for your research. Reference sources are your map to the Library's collections. 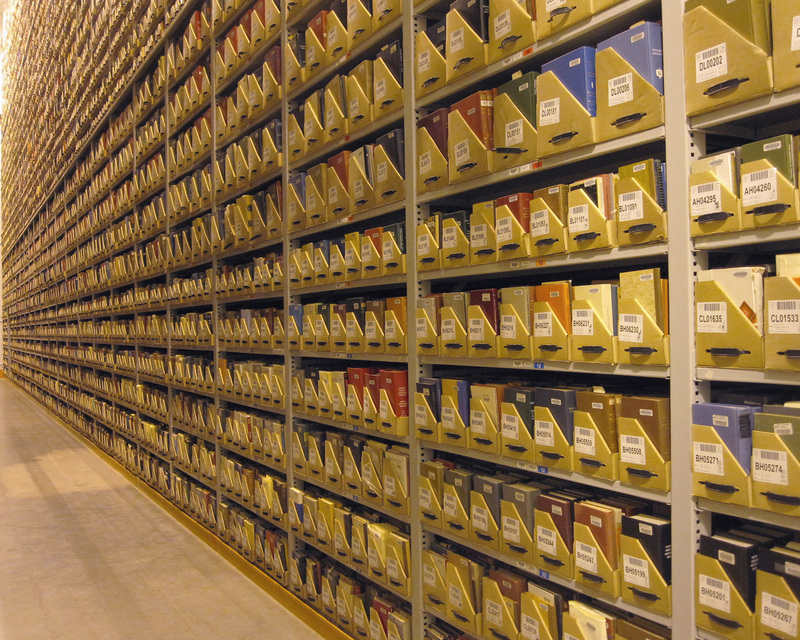 Half of one aisle at the University Library's remote storage facility on Oak Street. A very extensive collection of useful reference works published by Gale and affiliated publishers, including major general and subject-specific encyclopedias. Over 150 core reference works from Oxford University Press, mostly dictionaries and encyclopedias. Large collection of encyclopedias and dictionaries. It includes some important reference works in History, Philosophy, Religious Studies, and related fields. Works tend to feature shorter entries, with exceptions. 3rd ed. Online version of the standard, 10 volume reference work on American history--excellent place to begin. Online version of 2 volume original. Signed entries with bibliographies. Some bibliographies annotated. Includes a "Topical Outline of Entries". Online version of the 4 volume original. Substantive, signed entries that include bibliographies. Bibliographies not annotated. 2nd ed. Online version of the 15 volume original, with supplements. Substantive, signed entries with bibliographies and some illustrations. Bibliographies not annotated. Online version of the 2 volume original. Signed entries with bibliographies. Bibliographies not annotated. Entries arranged by broad subject, with more detailed subject index at the end. Includes a subject index. Online version of the 1 volume original. Includes a very general subject index. Global coverage. Most works in English. Includes subject indexes. A mix of primary and secondary sourced. No subject index, but entries organized by broad subject. Includes a simple subject index. Mixes primary and secondary sources. Includes a subject index. Documents from the Settlement House Movement, of which Jane Addams's Hull House was probably the most famous. Entries organized by year of publication. Includes a subject index. 2 vols. Includes subject index (e.g. Mexican-American War) and geographical index (e.g. Cuba). The digital collection, North American Women's Letters and Diaries is based in part on this bibliography. Women and Family in the Twentieth-Century American West: A Bibliography by Pat Devejian, Jacqueline J. Etulain, compilers. Includes entries for primary sources and a subject index. Includes subject index. Mixes primary sources and secondary sources. For primary sources, see especially the Autobiographies, Documentaries, Classic Case Studies, and Textbooks, Readers, Books of Documents sub-sections in each section. Mixes primary and secondary sources. Includes subject index. 1. Jesse H. Shera, The Foundations of Education for Librarianship (New York: Becker and Hayes, 1972): 193.